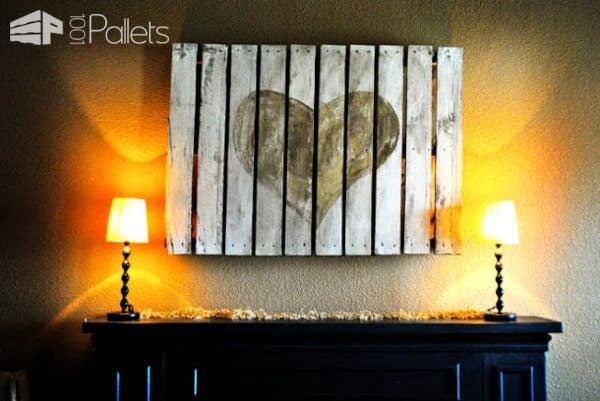 Set the mood and share your feelings with your own Pallet Lover's Heart Wall Art project! It is fun and easy and could be any picture you wanted. 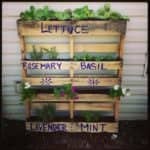 You could even make this a family project and let the kids have fun too! Decorate your bedroom, family room, living room, and even an outdoor area and share the love! First, remove most of the deck boards from the back of a lightweight pallet, leaving the stringers intact and the upper deck boards in place. Next, sand the pallet as little - or as much as you like. Stain the wood a medium to dark tone and let it dry. Finally, paint over everything around the pattern and lightly sand to give it a distressed look. Paint the entire pallet with a white or whitewash stain. Sand the pattern out, leaving bits of white remaining for a more distressed look. Petroleum jelly can be lightly applied to the edges or even the main pattern area to prevent paint from sticking. You can wipe it off when the paint/stain is dry. Skip the stains and do two paint tones! Sand the whole pallet, and then carefully mask and lightly stain just your pattern to have a more natural tone. Great idea! Could be customized an unlimited amount of ways! 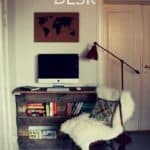 Now, how about a place to mount a TV when you want to kick back and enjoy your hard work? 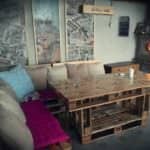 Why not art for the wall…looks nice: great…Feel free to post on my Upcycling FB page: would be awesome!